There's an indigenous community in Ecuador that lives in a part of the Amazon where there are jaguars and more animal life than the whole of North America! It's an incredibly pristine, remote area and the whole ecosystem has been preserved. But the government is threatening to go in and look for oil. The local tribe is resisting, but usually oil companies go in, buy off the people and break up the community. The tribe is thrilled that people across the world might back them up and make such a stink that we could save their land. 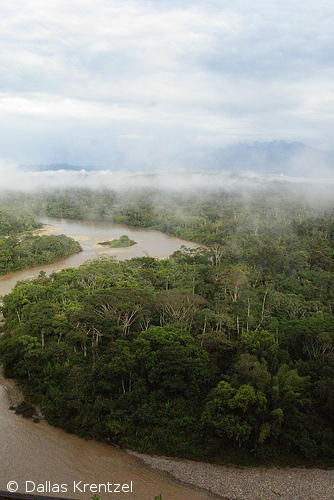 The president of Ecuador claims to stand for indigenous rights and the environment, but he's just quietly come up with a new plan to bring oil speculators in to look at 4 million hectares of jungle. If we can say 'wait a minute, you're supposed to be the green president who says no one can buy Ecuador', we could expose him for turning his back on his commitments just as he is fighting for re-election. He does not want a PR nightmare right now. If we can help this one community defend their ancestral land and challenge the president to keep to his word, we could make him reconsider the whole plan.Sign the petition now and tell everyone -- let's help save this beautiful forest.